Friends on today’s episode I have the honor to introduce you to Sara Miedema of Tiny Home Dream as she shares her story of learning to adjust her expectations and approaching life with a “can-do” attitude as she recounts their experience deciding to purchase and renovate a 300 square foot RV for their family of 4 after her husband lost his job. Sara shares the foundation she received from parents who taught her that they could figure anything out together and make things work. She shares of the importance of her university years in becoming confident in who she was and making her faith her own as well as in meeting her husband Austin. 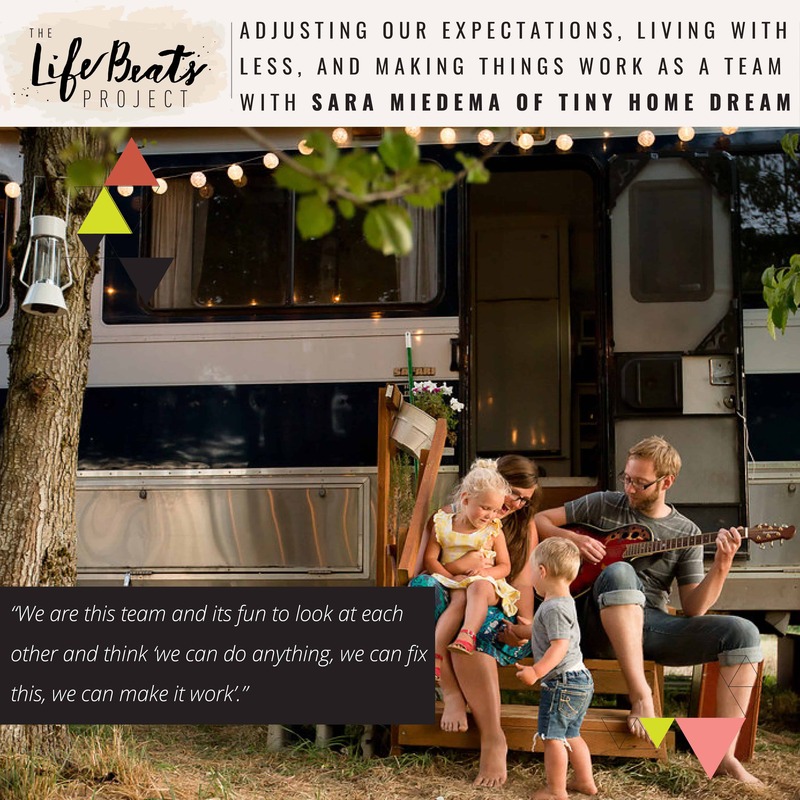 Sara shares the role that expectations played as a new wife, a new mother and then when Austin lost his job and how she communicated with him to feel like they were working to find a solution as a team instead of allowing the stress to tear them apart. She shares why they decided to purchase a RV (in fact a moldy RV the salesman tried to talk her out of) instead of taking out more loans or living with their family and why it wasn’t about what they were giving up. She talks about what they didn’t give up, the lessons of living on less and how this has brought them closer as a couple & a family, the joys of retaining their independence and becoming debt-free as well as the realities of tiny living and winter hiccups of broken pipes and hauling snow in to wash dishes. Listen and be inspired by this can-do woman to readjust your expectations, to see that you can make things work in your life through perhaps unexpected ways, and to see that you can be what your family needs, not things, but you. Want to know if this episode it for you? This episode is perfect for someone who is faced with a difficult situation and is looking for some motivation on how to make things work. It is perfect for someone interested in tiny living and learning to live on less. It is also for someone who is looking to strengthen their relationships.